load balance | Syed Jahanzaib Personal Blog to Share Knowledge ! Recently at a local cable.network setup @ gulzar-e-hijri, an OP asked told me that he wanted to add an extra DSL line just for some specific users (VIP users who are paying some extra money for better speed, as the current single dsl is getting clogged by over subscribed users. He wanted to manage all users / link via single Mikrotik router-board. I accomplished this task by adding 2nd DSL line with the Mikrotik BOX and few rules, and Alhamdolillah it worked fine :). I am just sharing basic logic on how i achieved it. You can take this idea and modify it according to your requirement, either use this logic and mix it with hotspot or pppoe base setup. In this example, user MAC-IP was binded. Let us assume that we have 2 Users lists. 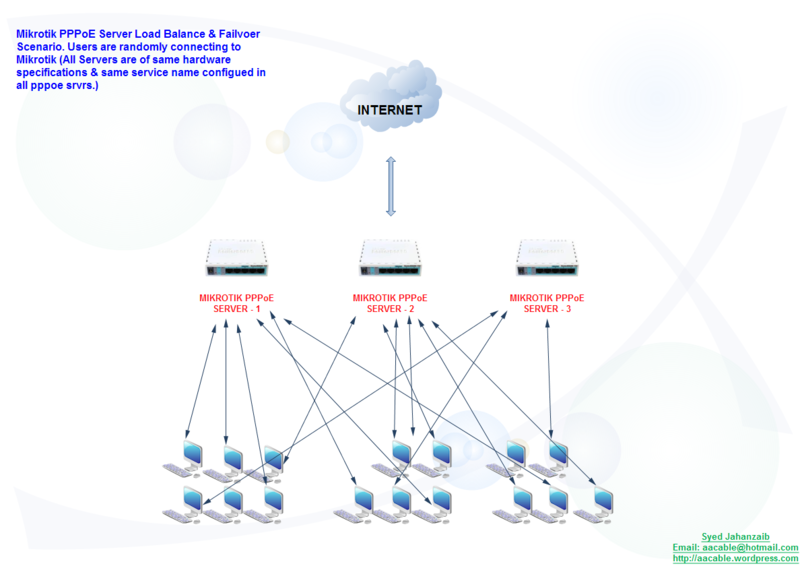 Now we will route users through DSL-1 OR DSL-2 wan links based on there ip addresses. STEP#2: Then We have to add two IP Firewall Mangle rules to mark the packets originated from user 1 and user2. STEP#3: Then we should specify two default routes (destination 0.0.0.0/0) with appropriate routing marks and gateways. STEP#4: Then simple add one NAT rule for local ip series and Action masquerade. # Create 2 Address lists and add ip as per required, you can add Range as well.